Bharat Shooting Begins Today. Set to release on EID 2019. Much Awaited Bharat shooting has started today that is on 22nd July, 2018. Film is one of the most awaiited of year 2019 and it stars Salman Khan, Priyanka Chopra, Disha Patani, Sunil Grover in lead roles. Bharat is slated for release on EID 2019. 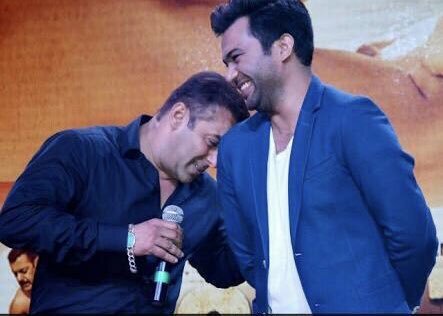 Film is directed by Ali Abbas Zafar who has earlier directed Salman in Sultan and Tiger Zinda Hai. Bharat will be their third collaboration. Bharat story is, "journey of a man and country India which spans around 60 years". Salman will be seen donning 5 different avatars in the film. Expectation from Bharat is colossal. Already Salman and Ali has given huge Blockbusters in Sultan and Tiger. We hope Bharat goes one notch ahead of them. The heading should rather be like this. "Tubelight 2.0 shooting starts today. Set to release on usual hiding safe period eid." You r mental. Wish atleast gud luck.